Gigantic was another surprise hit for me. Like Dreadnought, it caught me off guard. 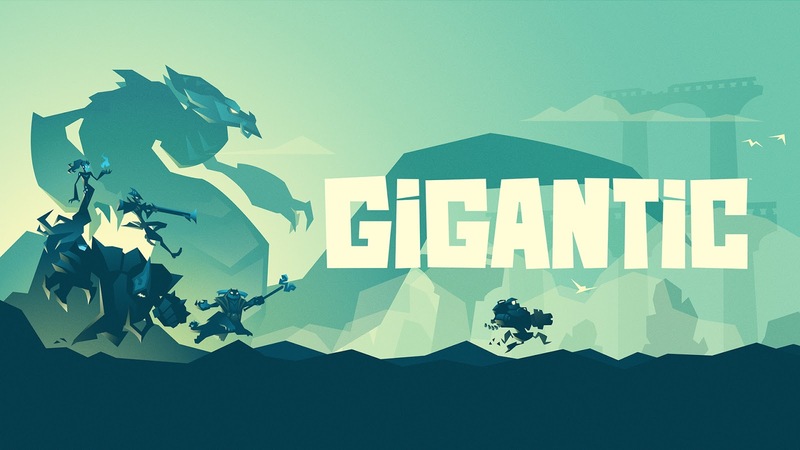 I had heard of Gigantic from Belghast since he had played it at PAX South. But, I knew almost nothing about the game. Gigantic is a 5v5 third-person shooter MOBA and it's a ton of fun! Instead of having lanes, creeps, towers, and last hitting like a traditional MOBA... instead you get two gigantic monsters that square off against each other. You need to protect your gigantic Guardian and kill theirs. Basically, any time you help your team or hinder the enemy team you generate power for your Guardian. When your Guardian's power is full they take off across the map to do battle with the enemy Guardian. If they successfully knock down the other Guardian you and your teammates need to close ranks on it and wound it. Three wounds on the enemy Guardian will win you the game. I wish I could have gotten to play Gigantic more, but after the first day the lines on the floor got.... gigantic. Near the end of the show we discovered a little theater away from the show floor with almost no waiting and 10 Gigantic stations set up. So, we did get to play again. But I want more. Luckily I scored a beta key by playing it at the show. It looks like it's Windows 10 only (boo) so it might get me to actually upgrade a bit earlier than I expected to. I'll report back more if I successfully get Windows 10 and Gigantic up and running.